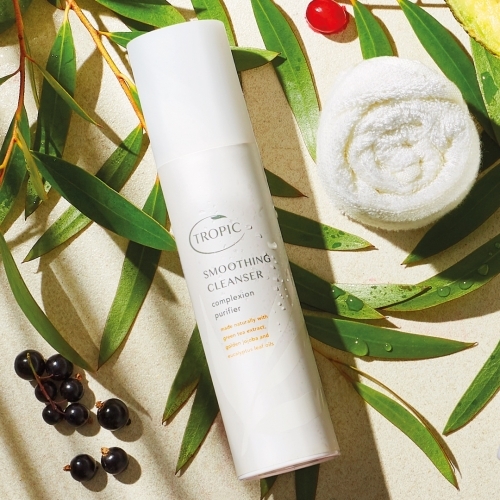 I joined Tropic because I'm passionate about their pure, honest, effective philosophy, their gorgeous natural products, and about being part of this amazing community of inspiring Ambassadors. Would you like to try any of the products you've seen on the site? You can host a Pamper Experience with me where you'll also receive free skincare consultations for you and your friends, and a free spa facial. If you're looking for an excuse to get the girls together, look no further! There's never been a better time to become a part of the Tropic family! If you love natural skincare, and you're looking for an opportunity to run your own beauty business selling the gorgeous products you see on this site, working hours that suit your lifestyle, then the Tropic Ambassador Opportunity could be just what you need. Contact me to discover more about the products, or the Hostess and Ambassador Opportunities available, and I'd be happy to chat with you! We believe that what you put on your skin should never be a mystery, therefore we list all of our ingredients in plain English, and include a ‘best before' date on all our skincare so you know exactly what's in your product, and that you're applying only the freshest ingredients to your skin. Super Greens Serum worked wonders on my winter skin -as an equestrian l am outside in all weathers and my dry skin was taking a beating - I used it at night as a night Serum and mixed a small amount in the morning with my moisturiser and it plumped up and rehydrated my skin - it also seemed to even our skin tone and l noticed it quickly reduced any irritation from blemishes and spots etc. I'm 43 years old and this is the best my skin has ever felt. I suffer from cold sores, always have, and they aren't just unsightly they can be EXTREMELY painful! Just about 6 days ago I got a HUGE coldsore, biggest one I can remember of late. The pain was bad... it was in my jaw, my cheek, and up to my scalp, my skin hurt to the touch..REALLY bad break out! I was in so much pain I was taking painkillers. I put it on the coldsore, with a cotton bud, at night, so it was 'soaking' overnight... then again on a morning, a lighter coating. Well, couldn't believe it, after approx 36 hours, the pain was almost gone and the swelling down...plus it didn't look as unsightly as the norm. Today is day 7 and the actual coldsore has almost gone.... and no scaring. I'm delighted because the life of a coldsore can be well over 10 unsightly, painful days. MANY MANY THANKS SUSAN FOR BRINGING THIS POT OF HEALING TO US! From being a small child I have suffered from eczema and have often had to resort to using hydrocortisone on my face which has resulted in damaged skin, especially around my eyes. The eczema was often itchy, uncomfortable and sore. I have tried numerous other products most of which irritated my skin rather than making it better. A few months ago, I discovered Skin Revive and haven't had any eczema at all on my face! It's absolutely amazing! I haven't had to use any creams that damage my face and have noticed a massive improvement in the appearance of my skin. I have just been diagnosed with eczema on my hands and feet and the Tamanu balm is a life saver! It really helps with the itching and stinging & reduces my need for the steroid creams. I adore the deodorant, having been allergic to spray deodorant my whole life it has made such a difference to my life and the way my body smells. I liked it so much that I introduced it to my family and now we all use it, including the men in the house! I am a new convert and I can't imagine using any other skin products, the difference to my skin is amazing! I've only been using your products for 2 weeks but have already sent my last supplies back to whence they came! I'm hooked on Tropic now! My favourite so far has to be the night repair cream. The smell is absolutely gorgeous! My rosacea is the best it's ever been and for once I don't feel like I've got anything on my face and I'm comfortable in my own skin! I was very lucky to have the chance to sample a few of your fantastic products from one of your Ambassadors. After the first use of products from the Deluxe Skincare Collection, the results on my skin were absolutely amazing! Felt so soft and so clean!! I am currently transitioning from vegetarian to vegan so it's very important for me to find beauty products that are animal cruelty free. Your products tick all the boxes. After watching a friend have a make up trial with tropic products I ordered pure effects beauty booster, correcting cream concealer and mineral foundation. I've used them for a couple of weeks now, the bb cream gives great coverage and only need a small amount each time, love the concealer as hides the natural redness on my face and any other imperfections and the foundation gives a really natural look, so no longer look orange and caked in make up like with other brands I've tried. I couldn't be more impressed with Tropic products .. I was very sceptical at first and have only used high end products such as Estée Lauder and Dior..I can tell you now..I am going to throw that all away and just use tropic products ..I have combination skin with unbalanced, red, underneath red bumps and was getting really frustrated and down ..everything I used on my face would irritate it and make it inflamed.. After using these products for a few days my skin has never felt and looked so amazing .. It's smoothed my skin out the redness has decreased loads and the bumps are slowly going.. I never write reviews ever! And feel like these products deserve it.. I've become obsessed and want to buy everything tropic ..I hadn't heard of this range until my friend became an ambassador and I'm so glad I gave into my scepticism and just went for it because it's made me feel so much more confident ..if you are having doubts whether to buy.. Just do it and give it a go, you won't be disappointed ..I feel like I've gone to the spa every morning and night ! Empowering beauty. It's at the heart of everything we do, from inspiring our team of Ambassadors to be their own boss and work hours that fit around their lifestyle, to protecting our environment and animals with our unwavering vegan and cruelty free ethics, to simply giving you the skin confidence you've always wanted. Freshly made in our Surrey Beauty Kitchen, using naturally derived, vegan and cruelty free ingredients, our skincare products include a ‘best before' date so you know that you're applying only the freshest ingredients to your skin. We've won over 100 prestigious beauty and business awards to date, and now we are the fastest growing beauty company in the UK according to The Sunday Times Fast Track 100 for the second year in a row. 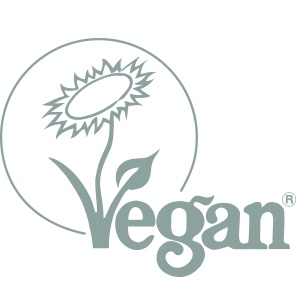 We are a vegan, cruelty-free skincare and makeup company, who freshly make our multi award-winning, naturally-derived range of beauty products in the UK. We are a vegan, cruelty-free skincare and makeup company, offering a naturally-derived range that's free from parabens, synthetic fragrances and toxic chemicals. We freshly make all of our skincare, body care and hair care products in our Surrey Beauty Kitchen, and include a ‘best before' date so you know that you're applying only the freshest ingredients to your skin. We also label all of our products honestly, using plain English, so you know exactly what you're using on your skin too. We use only the richest, most nutritious premium ingredients, sustainably sourced from tropical destinations across the globe, to ensure they are effective on all skin types, even the most sensitive. In an industry that often overlooks animal welfare and the environment, we promise to never test on animals, nor use derivatives that cause them distress. That's why we stand with Cruelty Free International, PETA and the Vegan Society as a 100% cruelty-free brand, now and always. And we are always looking to do more to help the planet. That's why our infinite purpose is “to help create a healthier, greener, more empowered world." What is a infinite purpose exactly? It's our collective objective, which defines everything we stand for and permeates through all of our actions. Where did it all begin? After selling Body Smooth at London markets aged 15, our Founder, Susie Ma, went on to appear on BBC's The Apprentice in 2010 and Lord Alan Sugar later invested in Tropic to become a 50/50 partner. Since then we have gone on to launch our fast-growing social selling business, develop over 100 stunning products and win over 70 prestigious beauty awards. And now, we are the fastest growing beauty company in the UK according to The Sunday Times Fast Track 100 for the second year in a row. You deserve to be pampered AT YOUR VERY OWN TROPIC PAMPER EXPERIENCE Get together with friends for fun, indulgence and the ultimate VIP shopping experience! Newsletter_Divider.png WHY HOST A TROPIC PAMPER? With FREE skincare consultations for you and your friends, a FREE spa facial and FREE Tropic products, an evening in with the girls has never looked so beautiful! WHAT DO I HAVE TO DO? From the invitations to the delivery of your new Tropic favourites, your Ambassador has it covered. All that's left for you to do is to invite your friends round for a couple of hours,grab a bottle of your favourite something and enjoy the uplifting sensations of our award-winning natural beauty range! HOW DO I BOOK? Just get in touch! 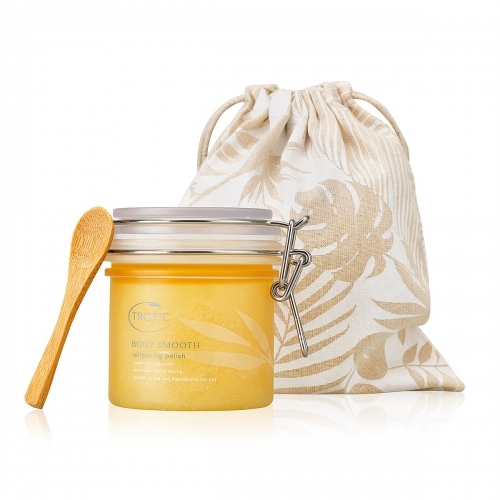 As our founding product, this irresistible body polish captures the heart of Tropical North Queensland, Australia with its blend of invigorating, zesty essential oils, mineral rich sea salts and exotic pure plant extracts.